Prince Harry and Meghan Markle launch their own Instagram account. Prince Harry and Meghan Markle launch their own Instagram account, ahead of royal birth. The Duke and Duchess of Sussex have set up their own official Instagram account. Prince Harry and wife Meghan, who are expecting a baby this month, said @SussexRoyal would be used to share the work that drives them, and important announcements. Their first post is a series of pictures from their last few months. We cannot get enough, and can only assume this is where we will first catch a glimpse of the newest member of their family. Meghan used to be a prolific Instagrammer, but she deleted her account after becoming engaged to Prince Harry. She also shut down her popular blog The Tig. Royal family members aren’t allowed to have personal social media accounts, unless they’re non-working royals – like Princess Eugenie (@princesseugenie). Meghan and Harry used to share an account with the Duke and Duchess of Cambridge, @KensingtonRoyal, which has more than 7 million followers. The split comes as Meghan and Harry’s new household will be based at Buckingham Palace, while William – the future King – and Kate will remain at Kensington Palace. In a message on their first post, Harry and Meghan thanked people for their support, saying: “Welcome to our official Instagram; we look forward to sharing the work that drives us, the causes we support, important announcements, and the opportunity to shine a light on key issues. The Palace had initially implied that Meghan and Harry’s social media presence would be folded into the @theRoyalFamily feed given they will be at Buckingham Palace, but perhaps this Instagram independence was another move by the couple to do things a little bit differently. Meghan is currently making waves because she has chosen to not give birth in the ‘Lindo wing’ which is where royals, traditionally, have their babies. 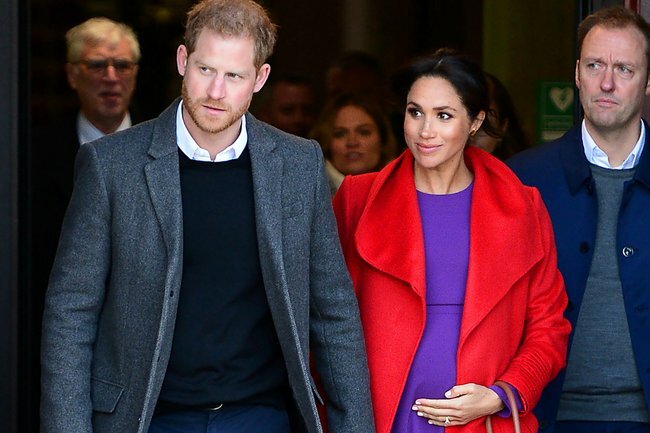 It’s expected she’ll break a number of rules about what it means to give birth as a royal. Watch: Why Prince Harry will make a great dad.